We have a great month for the hardback book.. Lots of really nice reads to get us excited and keep us entertained in the spring month of April. 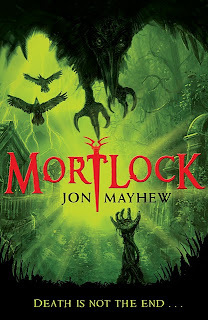 It's the fourth Skulduggery Pleasant adventure! only Skulduggery Pleasant himself is lost on the other side of a portal, with only some evil gods for company. Can he possible survive? (Yes, all right, he's already dead. But still.) What can we say, without giving too much away? Not much, is the answer. 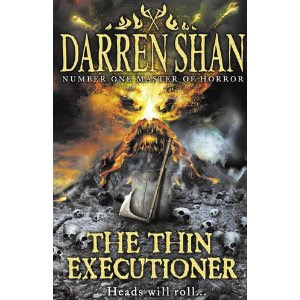 But what we CAN say is that this book is hilarious, it's tense, and it's packed with all the eye-popping action, crackling one liners and imaginative set pieces you've come to expect. There's a new threat to our plucky heroine, of course. But that's not all. There's also the little fact of the Big Bad, the uber-baddy who's going to come along and really, really destroy the world. (Really.) And what we learn about that villain in this book will literally make your jaw fall off and your hair go white with shock. (Not really.) 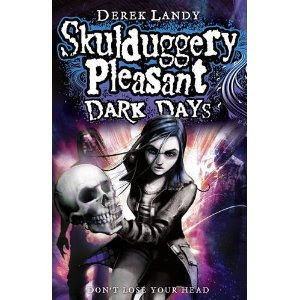 Will Skulduggery make it out of the Faceless Ones' dimension? Who knows. The problem is, he may not have much to come back to! Simeon Dark is the most powerful sorcerer in the land of the Drift. Mysterious, cunning, a shape-shifter, only he can stop the evil Strood and save the Drift from dying. But where is he? Nin finds her way to Dark's mansion - a strange castle with a garden and lake spilling into the sky. There she finds a ribbon of shadowy light: could this be the unsaid spell and the clue to unlocking the mystery of Simeon Dark? 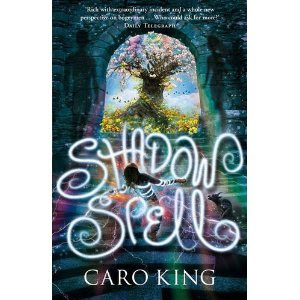 Meanwhile, Strood is preparing his distillation machine, his pet tigers and some barrels of blood and is coming after her...Caro King has created a funny, rich, thrilling adventure, interwoven with fantastical creatures, myth and magic. Two years ago, Fever Crumb escaped the war-torn city of London in a travelling theatre. 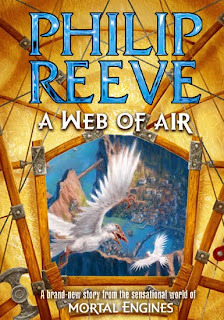 Now she arrives in the extraordinary craer city of Mayda, where buildings ascend the cliffs on funicular rails, and a mysterious recluse is building a machine that can fly. Fever is the engineer he needs - but ruthless enemies will kill to possess their secrets. The fabulous sixth book in the Mortal Engines series, from the brilliant. Young pioneer, Micah, enters Wrymeweald full of hope to return home having made his fortune. But this is a land where wyrmes, fabulous dragon-like beasts, roam wild and reign supreme. In Wyrmeweald man is both hunter and hunted - and seventeen-year-old Micah may never return alive, let alone a hero...After a near-brush with death on the edge of a canyon, Micah soon finds a chance to prove his worth when he meets with Eli, a veteran tracker of Wrymeweald. They choose to defend a rare whitewyrme egg and its precious hatchling before it falls into the hands of a band of evil Kith. But the fledgling wyrme has its own guardian in the shape of the beautiful, brave and dangerous Thrace. Thrace, a Kin and a highly-skilled wyrme rider-assasin; and Micah, a would-be Kith, should never mix - but the magnetism between them is strong. Together they join forces on a mission to rescue the hatchling and seek vengenace for loved-ones lost at the hand of Kith bandits. 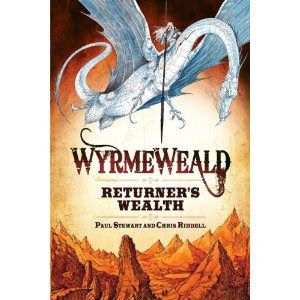 Meanwhile the glorious whitewyrme colony of Wyrmeweald looks on as its land is encroached by gold-diggers and ravaged by bounty hunters. Is Exodus the only option? And if so, when - and where - will they flee too! This is the answer to smelly feet - wear a clothes peg on your nose. 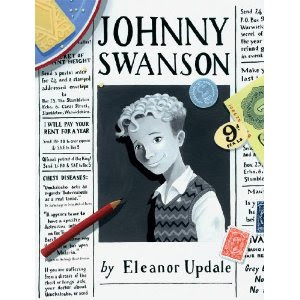 11-year-old Johnny Swanson is in business. He's raking in the money with his advertising scams and his agony aunt persona, Ada Ardour, who offers advice on absolutely anything in return for a shilling. But his money-making schemes are getting him in too deep. Everything is spiralling out of control, and now his own mother is in mortal danger. There's only one thing for it:Johnny must assume another role - as undercover detective.